Has always been in heated garage since restoration. Has original Power House generator (rebuilt). Colors are Niagara Blue and Niagara Blue Light (looks green). 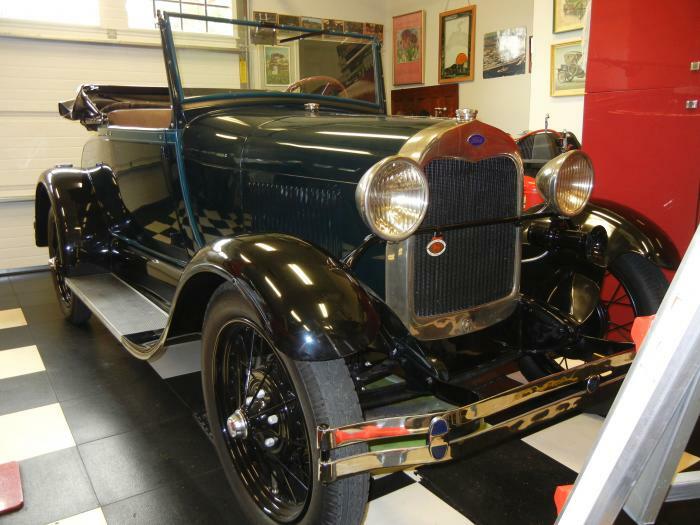 Was the "National First Prize Winner" from the Antique Automobile Club of America in 1992. Missed a perfect score by 1 point because an exhaust clamp was reversed. Radiator and Headlights are nickel plated (Newer are chrome over nickel). Only original parts not installed are an updated water pump and an updated fuel shut off valve (original parts available). Runs good and drives good. Need to sell because we are retired and downsizing and will not have proper storage room. This page has been viewed 1615 times.